Whether you are a lawyer, public relations professional or financial advisor, you need to make sure that your clients don’t equate your service with purchasing a cola or snack in a vending machine. “Vending machine” relationships are transaction-based. You get exactly what you want — nothing more. Perhaps momentarily satisfying (like that bag of potato chips in the vending machine) but not healthy long-term. Be curious. Rather than rush to respond, allow (or train) your brain to wonder about the larger situation that prompted your client to call with their request. Ask questions to learn more about the problem and context. You may discover that the solution the client is asking for is, in fact, not the best solution to their real problem. Don’t limit your thinking to the typical range of solutions. 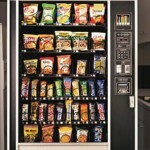 In real life, your client doesn’t need to pick “E3” or “C5” in the vending machine. Given your unique expertise and background — and as an advisor to your client — you are likely to recommend a less-generic solution. Add meaningful value: Focus on the ways in which you can solve the client’s particular problem of the moment and — with that solution — contribute to the client’s larger success. Of course, there are some problems that really do just need that simple, straight forward solution. But the really good advisors consider the possibilities. 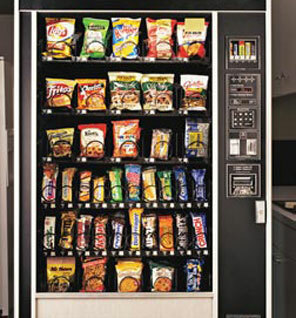 Do you have healthy, growing client relationships or have you lapsed into the role of a client service “vending machine” selling pre-packaged, generic solutions? This entry was posted on Wednesday, August 10th, 2011 at 1:22 pm and is filed under Client Service. You can follow any responses to this entry through the RSS 2.0 feed. You can leave a response, or trackback from your own site.